It never ceases to amaze me why so many Jews believe that Christianity is non-Jewish and/or exclusively a Gentile “religion.” But not only the Jews. Although far greater in number than Jews, proportionally even more Gentiles believe the same thing. At the very minimum, both Jew and Gentile forget or marginalize the fact that Jesus Christ was a Jew. The historical evidence is clear: He was conceived by the power of the Holy Spirit, and given birth by a young Jewish woman. Although Mary was engaged to Joseph (both were descendants of King David from the tribe of Judah), they had not yet consummated their marriage; thus, the miraculous Virgin Birth of Jesus—the Son of God, Son of David, and Son of Man. To be sure there are a good number of Jews who privately concede that the Christian faith came “through” the Jews; however, precious few have acknowledged publicly the Jewish heritage of Jesus. Or if they do, they consider him a traitor to Judaism as did many Jewish religious leaders of Jesus’s time. This despite awesome miracles Jesus performed, the greatest of which was his resurrection from the dead. In spite of Jesus’s 100% fulfillment of Old Testament prophecies of the coming Messiah and the indisputable evidence that Messiah would arrive before the (2nd) Temple would be destroyed (Daniel 9:25-26), they accused him of impersonating the Messiah. When defending Judaism against Biblical Christianity, the majority of Jews equate Christians mostly with Roman Catholicism (which is not true Biblical Christianity) that persecuted Jews down through the centuries, spurred in large part by the erroneous and insidious doctrine of Replacement Theology. Thus, it is a painful reminder that Jesus was a Jew. Unless it is with the negative connection of Jesus to “Christianity,” including the adversarial association with “Christian” persecution of Jews (which, indeed, is a grievous offense perpetrated by those who were and are Christian in name only), a striking example of how many Jews know so little of Jesus or his Jewish legacy is that of a former Jewish Rabbi whom I have met personally. His name is Jonathan Bernis, born into an Orthodox Jewish family in the United States. His upbringing was such that he thought Christ was Jesus’s last name. He had no clue that Jesus was a Jew or that his name is a transliteration of the Hebrew name, Yeshua; or that Christ is from the Greek (Christos) which is a translation from the Hebrew word, Messiah. Later Jonathan became a Rabbi serving a Jewish congregation. That is, until he experienced salvation (born again) through the risen Messiah, at which time he became a Messianic Rabbi and subsequently the leader of Jewish Voice Ministries International. This Messianic ministry has provided enormous medical aid to Jews in Russia, Ethiopia, India, and other places. More importantly, Jonathan and his staff have led thousands of Jews to personal faith in Messiah Jesus. For the most part, those Rabbis and observant Jews who do acknowledge Jesus as Jewish often do so in the same context and with the same mindset of the Jews in Jesus’s time—not as the Messiah; but as a misguided man who attempted to usurp their authority and replace their traditions and the Mosaic Law with a cultic sect. Ultimately, they accused him of blasphemy because he declared (truthfully and rightfully) to be the Messiah, the Son of God. It was not Jesus’s intent to abolish the law (the universal moral truths as summarized in the Ten Commandments); rather he came to fulfil the law—meaning complete obedience that no other man or woman has ever achieved. He fulfilled the law not as an example for the Jews (or Gentiles) to also perfectly keep the Law of Moses. He did so because no one—past, present, or future—could keep the law in every point. Because he was sinless, Messiah Jesus was the only person qualified to complete the perfect, once for all sacrificial offering so vitally important and fundamentally necessary for God’s redemption of mankind. The Mosaic Law couldn’t do that because the sacrifices had to be repeated over and over. Thus, Jesus accomplished that part of the Law also, which meant that animal sacrifices are no longer necessary. When speaking to the Samaritan (part Jew, part Gentile) women at the well, Jesus told her: “…salvation comes through the Jews” (John 4:22). “…This cup is the new covenant between God and his people—an agreement confirmed with my blood, which is poured out as a sacrifice for you” (Luke 22:20). 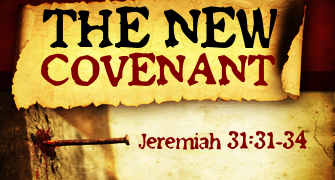 Except from Messianic Jews, rarely do we see, hear, or read Jews saying much about the New Covenant and certainly not that Yeshua initiated that Covenant. In varying degrees and with different interpretations, they do believe that the New Covenant will commence when Messiah arrives. But they cannot or will not endorse the evidence that Jesus is the Messiah; that their (spiritual) salvation was available when Jesus arose from the dead … effected by personal belief in and invitation for Jesus to be their Savior. They are correct in their belief that their physical redemption (rescue) will be accomplished when Messiah arrives. For true believers including Messianic Jews, we believe that it will be Jesus’s return … The Second Coming. Instead, they still, as the Jewish Apostle Paul said in the first century, “…Refusing to accept God’s way, they cling to their own way of getting right with God by trying to keep the law. For Christ has already accomplished the purpose for which the law was given. As a result, all who believe in him are made right with God” (Romans 10:3-4). On March 22, 2016, the online site of Breaking Israel News posted an article entitled, Pity the Anti-Semites, written by Rabbi Dr. Nathan Lopes Cordoza; which, in turn, had been reprinted from the original, published in The Jerusalem Post. It is an intriguing article, directed satirically toward those who harbor dislike, even hatred, toward the Jews. But with the utmost sincerity regarding the astounding achievements of Jews in the fields of medicine, agriculture, science, computer technology, and innovation in general. Let’s look at some other excerpts from the article that satirically (as directed to anti-Semites), but also sincerely demonstrate that the world has benefited in so many ways from many things that have come from and through the Jews. Part of what he says can be found in some form or another in several Eye of Prophecy articles, with the same (without the sarcasm, which works for his article) recognition of the amazing State of Israel and the astonishing contributions made by Jews. For me, personally, it stems from my love of Israel and the Jewish people; which also results in many of my articles and both of my books expressing a “tough love” compassion that the Jews will have eyes to see, ears to hear, and hearts to know that Yeshua is Messiah … how much he loves them. “The anti-Semitic world has a hard time with Jews, and we should feel some pity for all those who work relentlessly to give us a bad name. They boycott us in academia, journalism, European governments, the marketplace, and just in the streets of daily life. But let’s be honest. “Aren’t they right? Are we not truly a nuisance? It’s not easy to live with Jews. We’re troublemakers and can be painfully irritating. There’s no escaping it. “The trouble with us is that we are constantly breaking the rules. For thousands of years, we have survived powerful empires that did everything to try to destroy us—the Egyptians, the Romans, the Greeks, the Germans and others. In the 20th century, it looked as if they had finally succeeded. Six million of us were murdered in the Holocaust. Things like: Multiple sclerosis, spinal injuries, paralysis, breathing problems, depression, Alzheimer’s, Parkinson’s and DNA breakdown. In the advanced arena of computer processing, Israelis have invented computer processor chips (Intel), USB stick, instant messaging, anti-virus software, cell phone, and voicemail. There is also the (now) world-famous cherry tomato. There are steel security doors and mobile air defense systems, such as the Iron Dome. The real-time road traffic data for drivers called Waze, is now universal. As is Rewalk, a bionic system to allow paraplegics to stand upright, walk, and climb stairs. As phrased by Rabbi Cordoza, “All developed by Jews in this terrible, obnoxious country called Israel.” (Another cynical jab at anti-Semites). “And let’s not forget that Israel produces more scientific papers per capita than any other nation and, in proportion to its population, has the largest number of start-up companies in the world. It has the highest concentration of hi-tech companies worldwide, apart from Silicon Valley. It ranks No. 2 in the world for venture capital funds, second only to the United States. Before I quote what he said after that provocative lead in about a Jew named Jesus, I need to reiterate: Seldom does a non-Messianic Jew, particularly the observant among them (in this case a Rabbi), mention Jesus at all. If his name is dropped, it’s usually in a negative way with an antagonistic agenda. Not so, with Rabbi Cordoza, although it’s quite evident that his reference to Jesus is within the context and purpose of his article, i.e. anti-Semites should remember that Jesus was a Jew. (Still is a Jew… my commentary!) With the intended inference and conclusion that Jews shouldn’t be treated so harshly for that reason alone, whether or not Jews believe Jesus is the Messiah. I could spend most, if not all, of another entire article explaining why most of what the Rabbi said about Jesus and his impact is not entirely accurate; however, that is not the intent of today’s Eye of Prophecy post. Nevertheless, I will offer a couple of observations. Such as the fact that Jesus introduced a whole lot more than just, “Jewish moral stuff” and did so in Israel which is in the Middle East, not the West. Moreover, as I’ve said several times in prior Eye of Prophecy articles including last week’s post: the majority of early Christians were Jews, not Gentiles. That Israel was the birthplace of Jesus and Biblical salvation. 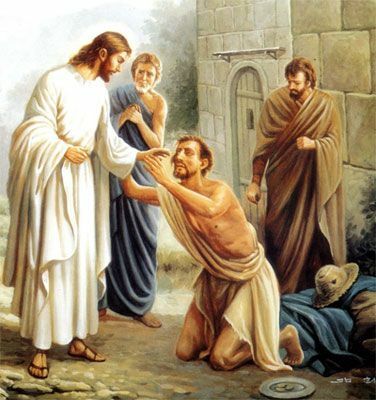 In fact, most of what Jesus “introduced” was rejected by the Jewish religious leaders, such as healing a blind man on the Sabbath. With their hypocritical (Jesus’s words) hold to their traditions and impractical and inaccurate application of even the Mosaic Law, they deemed healing to be “work.” And that was forbidden, even if it meant miraculously restoring the sight of a man who had been blind from birth. ‘Why, that’s very strange!’ the man replied. ‘He healed my eyes, and yet you don’t know where he comes from? We know that God doesn’t listen to sinners, but he is ready to hear those who worship him and do his will. Ever since the world began, no one has been able to open the eyes of someone born blind. If this man were not from God, he couldn’t have done it’” (John 9:28-33). Earlier in his interrogation by the Pharisees, in response to their first accusation that Jesus was a sinner (not from God) because he violated the Sabbath, the man exclaimed: “But I know this: I was blind, and now I can see!” (Verse 25). A couple of comments: Echoing the man whom Jesus miraculously healed, how strange for the Pharisees to say they didn’t know from where Jesus came. Or their vehement denial that Jesus was the Messiah. When, in fact, the Pharisees and Sadducees believed that the Messiah would just appear out of nowhere. For the most part, that is the same prevalent belief among most Jews to this day. Unless, that is, they (which unfortunately they don’t) accept their own prophet’s announcement that the Messiah would be born in Bethlehem, and born of a Virgin. (Micah and Isaiah, respectively). They wouldn’t even give Jesus the benefit of the doubt by confirming his place of birth as Bethlehem, not Nazareth. But then anyone who would consider healing on the Sabbath as work, and place infinitely more weight on that (erroneous, as it can’t be found in Scripture) technicality than in the supernaturally spectacular healing of a man born blind, wouldn’t want to be bothered with petty details of where Messiah would be born, even if it came directly from their Scriptures. “For God loved the world (Jew and Gentile alike) so much that he gave his one and only Son, so that everyone who believes in him will not perish but have eternal life” (John 3:16). How much of the New Testament (especially the four Gospels account of the birth, life, death, and resurrection of Jesus) that the Rabbi has read is unknown … to me. 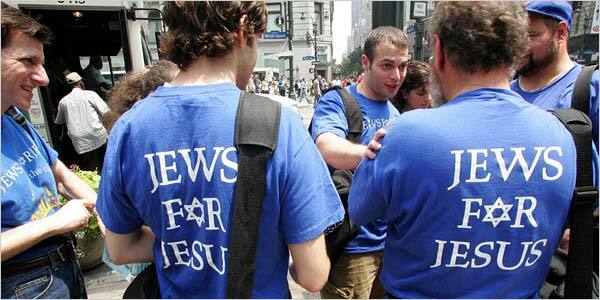 Probably not much, if any, as non-Messianic Jews don’t believe IN Jesus (as Messiah). Consequently, they refuse to even read the New Testament. If they do read some or all of it, they dismiss and deny the historical record out-of-hand. I hope and pray that someday soon Rabbi Cordoza and other Jewish Rabbis and Jews everywhere will realize that Jesus is who is said he is: Son of God, Son of David, Son of Man. Nevertheless, I am impressed and delighted that Rabbi Cordoza would even mention Jesus, with his primary point that of the Jews giving us Jesus. Or putting it in the same way as today’s article began: Salvation (Jesus) came through the Jews. Which is a historically accurate fact. Just read the genealogies found in Matthew and Luke for the ancestral lineage of Jesus of Nazareth. But coming through the Jews is only the beginning. There’s more. Not Just through the Jews, but TO the Jews. Listen to Jesus’s instruction to his disciples early in his ministry: “…Don’t go to the Gentiles or the Samaritans, but only to the people of Israel—God’s lost sheep. Go and announce to them that the Kingdom of heaven is near” (Matthew 10:6-7). This command was given after Jesus’s Sermon on the Mount which spoke of the Kingdom of Heaven. Throughout his time on the earth, Christ spoke frequently about the Kingdom of God (on earth). Why did Jesus instruct his disciples not to go to the Gentiles or Samaritans, when, he himself went out of his way to meet with the Samaritan woman at the well … for the express purpose of disclosing to her that he was the Messiah? 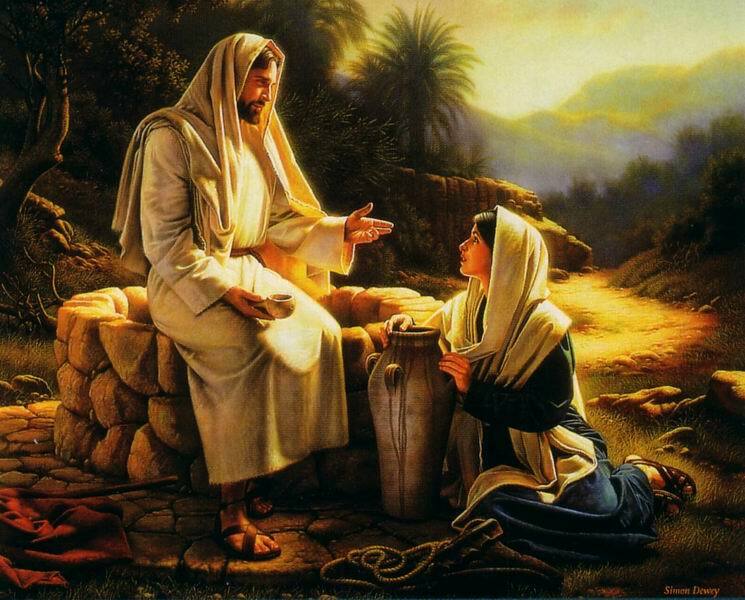 In another scene, a Gentile woman from the region of Tyre and Sidon begged Jesus to heal her demon possessed daughter. Jesus replied: “…I was sent only to help God’s lost sheep—the people of Israel” (Matthew 15:24). The woman pleaded all the more: “…Lord, help me!” (Verse 25). “Jesus responded, ‘It isn’t right to take food from the children and throw it to the dogs’” (Verse 26). “She replied, ‘That’s true, Lord, but even dogs are allowed to eat the scraps that fall beneath their master’s table’” (Verse 27). Then Jesus did what we would fully expect him to say and do: “Dear woman … your faith is great. Your request is granted. And her daughter was instantly healed” (Verse 28). Do you see what’s happening here? Jesus’s reference to Gentiles as “dogs” was not his opinion or belief. Rather it was the attitude and mindset of many Jews, particularly the religions leaders. Gentiles were outsiders … less likely to receive God’s blessings than dogs. Yet, the Gentile woman’s humble pleading, persistence, and profound statement that even the dogs get some crumbs (from the table of the Jews) was an expression of great hope and trust in Jesus, whom she called, “Lord.” Jesus granted her request because his great love and impending sacrificial death was for all people, which is why he generously presented this same truth and promise to the Samaritan woman at the well. However, God sent his Son to first proclaim TO the Jews that the Kingdom of Heaven would be established on earth in Israel, if they would only acknowledge and receive Yeshua as Messiah. God’s ultimate purpose was to establish his Kingdom of righteousness, justice, and peace on the earth through the people he chose to accomplish the marvelous reconciliation and restoration of the human race back to himself. Which is why Jesus instructed his disciples early on to preach the Kingdom of Heaven only to the Jews. Which is also why even his disciples were amazed that Jesus associated with Gentiles, let alone healed them. God’s selection of Abraham, then the promised child of Isaac to be the progenitors of light and salvation to the Gentiles was the beginning of this magnificent plan. But before the Gentiles could be saved, the Jews must first do what they were chosen to do: obey, serve, and share God’s Word and glory to the whole world. Sadly, ever so tragically, they did not. Which is why God took over and initiated the New Covenant spoken of by Jeremiah, one that Messiah Jesus would put into place. Had the Jews of Jesus’s time (as a nation) recognized and accepted him as the Messiah, right then and there the glorious Kingdom of God would have been established on the earth, which would have included deliverance from Roman oppression. The mighty Roman Empire would have been conquered by Christ himself, and the divine dynasty of King David would have been restored with Jesus (the Messiah) as its eternal King; promised by God when he established this covenant with King David some one thousand years earlier. Alas, God’s people rejected their Messiah. “O Jerusalem, Jerusalem, the city that kills the prophets and stones God’s messengers! How often I have wanted to gather your children together as a hen protects her chicks beneath her wings, but you wouldn’t let me … For I tell you this, you will never see me again until you say, ‘Blessings on the one who comes in the name of the Lord’” (Matthew 23:37-39, italics for emphasis). Or in Hebrew: Baruch haba beshem Adonai. Later, the Apostle John would proclaim that Jesus was the Living Word of God, the Son of God, and Messiah. Said John about Jesus and the Jews: “He came into the very world he created, but the world didn’t recognize him. He came to his own people, and even they rejected him. But to all who believed him and accepted him, he gave the right to become children of God. They are reborn—not with a physical birth resulting from human passion or plan, but a birth that comes from God” (John 1:10-13, italics for emphasis). Although God and Jesus, as God the Son, knew far ahead of time that the Jews would reject Jesus as their Messiah, they nevertheless gave the Jews every opportunity to recognize (by means of powerful miracles and the most awesome truth taught by any man who has ever lived) who he was and why he was among them. Tragically, they rejected Jesus; not only scorned, but killed for claiming that he was, “I AM,” the Son of God and God the Son. The Lord, in his splendid plan for mankind, turned this horrible injustice into the greatest good and gift ever given to the human race … redemption and everlasting life. To the Jew First, Then to the Gentile! The devoutly fanatical Jewish Pharisee, Saul, who persecuted the followers of Jesus, was one of many 1st century Jews who experienced this wonderful salvation purchased at the highest price ever paid … the death of the Son of God in payment for sin and its penalty. But Saul (later named Paul) fully understood that God had not forgotten about his special possession, Israel. God’s precious gift of redemption would still come through the Jews, specifically through the Jewish Messiah, Jesus of Nazareth. But not just through, it would be first and foremost for and to the Jews. “For I am not ashamed of the Good News about Christ. It is the power of God at work, saving everyone who believes—the Jew first and also the Gentile. This Good News tells us how God makes us right in his sight. This is accomplished from start to finish by faith. As the Scriptures say: ‘It is through faith that a righteous person has life’” (Romans 1:16-17, quoting Habakkuk 2:4). Jesus announced it first: He came explicitly to save the lost sheep of Israel. They had lost their way because they couldn’t and wouldn’t give up their self-righteousness by thinking they had merited God’s favor in trying to keep the Mosaic Law; which they obviously hadn’t kept in the past, nor in Jesus’s time … nor even today. When they rejected him and handed him over to the Romans to be crucified, he rose from the dead to seal the New Covenant and extend God’s salvation to all people, Jew and Gentile alike. Then Paul (and Peter) and all of the apostles picked up where Jesus left off. Not only was the Kingdom of Heaven unilaterally extended to the Jews; even after their rejection of the Kingdom’s Messiah King (Jesus) the New Covenant Gospel of Grace was presented to the Jews first. That offer stands to this very day. “They are the people of Israel, chosen to be God’s adopted children. God revealed his glory to them. He made covenants with them and gave them his law. He gave them the privilege of worshipping him and receiving his wonderful promises. Abraham, Isaac, and Jacob are their ancestors, and Christ himself was an Israelite as far as his human nature is concerned. And he is God, the one who rules over everything and is worthy of eternal praise! Amen” (Romans 9:4-5). Actually, there was only one chosen to begin with … Abraham. God didn’t start with a complete race or ethnic group or nation of people. They weren’t actually chosen as a nation or even became a nation until God, through Moses, delivered them from Egypt. Yet it didn’t take long for the chosen people to rebel against the God of Abraham, Isaac, and Jacob. Thus, the Lord told them more than once that he didn’t choose them because they were better or larger in numbers or more deserving than other peoples. He chose Abraham, who would then become the father of the Jewish race. Not according to their good or bad works, applies to Abraham and his descendants, concerning God’s providential plan to bring redemption to the human race through his Son, Messiah Jesus. All Abraham could do was to believe God (which he did) and that faith was credited to him as righteousness (Genesis 15:6). In other words, God called Abraham; yet Abraham didn’t become chosen until he placed his faith in God’s promise. Not according to their good … works, applies to both Jews and Gentiles (the human race) in order to be saved from their sins and the penalty of sin … everlasting separation from God in the lake of fire. That’s because God’s way of salvation is available individually only when we put our complete trust in God’s promise. The sacrifice of Christ Jesus is all sufficient, the only way of redemption and eternal life. Not by or through good works. Returning to what Jesus said to the Samaritan woman, “…for salvation comes through the Jews” (John 4:22). Notice that Jesus didn’t say, “From the Jews.” Rather, he said through the Jews. This is much more than a matter of semantics. From and through can sometimes be used interchangeably, but it depends on the subject … on what is being referred to. Among other definitions in Webster’s Dictionary, from means “a starting point.” However, that can’t be applied to the Jews (as the originator or beginning point of salvation) for two reasons: (1) Abraham was a “gentile” when he was selected by God to be the father of what would become the Jewish race. (2) Going back even farther, salvation originated with God; thus, comes from God. Does salvation come from the Jews? It comes through the Jews. So, what is the significance of this distinction? What difference does it make in our thinking or understanding? Answer: All the difference in the world, especially to/for the Jews! Salvation comes through the Jews, but it comes from God and God’s Son, Messiah Jesus. The enormous implication of knowing this difference is that the means of getting right with God (righteousness) does not come from the Mosaic Law, nor from any other traditions or rules or regulations or rituals found in any of the world’s religions or any non-religious belief system. Nor through or from good works or self-worth or good behavior. Instead, salvation comes through our response of faith in Messiah Jesus (the Jewish descendant of King David from the tribe of Judah) that comes from Almighty God. “For you have been delivered by grace through trusting, and even this is not your accomplishment, but God’s gift. You were not delivered by your own actions; therefore, no one should boast” (Ephesians 2:8-9, italics for emphasis, Complete Jewish Bible). Can anything be clearer? Salvation comes by trusting in God’s gift of grace which is none other than the once for all redemptive sacrifice of God’s precious Son, Messiah Jesus. This gift comes directly from God and God alone. 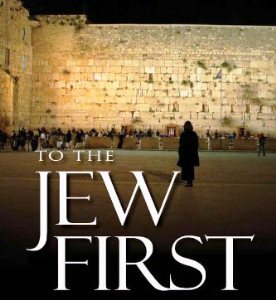 To the Jew first and also to the Gentile!